Today I have a list of my top five polishes for Christmas 2012. These include festive polishes not specific to any year or collection, just my top favorites at this point this year. This polish is a classic, it was actually a Christmas miracle finding this polish in a dusty the day after Christmas, the best part? It was regular price and was free of tax for boxing day! This is a long gone hard to find polish now but I love it too much! With a deep purple jelly base and iridescent flakes it is truly unique. It is festive without being over the top Christmas, which isn't a bad thing at all. The perfect shade of snow! I love white nail polish, it is clean and sophisticated. 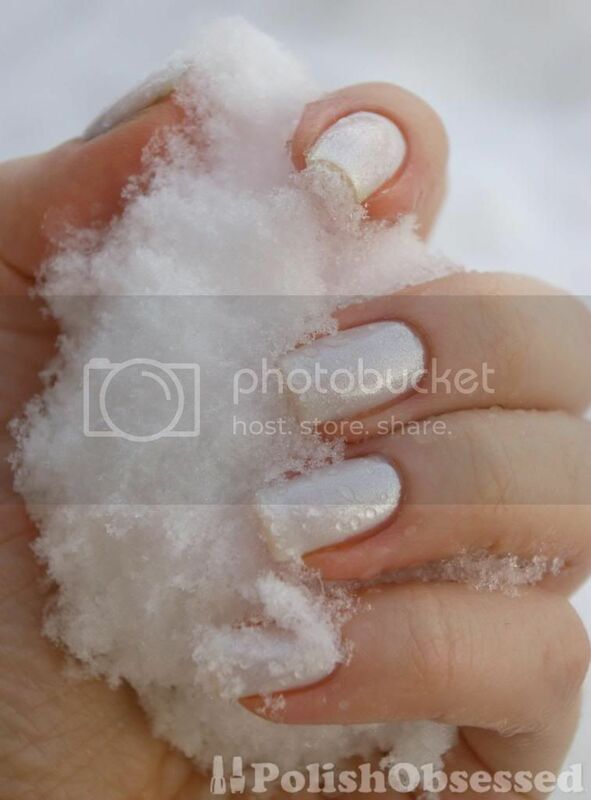 The added shimmery gold flecks in this polish really does give off the texture of snow! Checkout my photo below and you can compare. I had put off wearing this polish for too long, but knew it was a stunner. Silver glitter in a green jelly base, so festive! I got a lot of compliments when I wore this to work. Probably the only polish on this list that came out in 2012. This is the perfect glittery red for the holidays. With larger glitter than China Glaze Ruby Pumps and a slightly golden glisten, this red glitter is the perfect red for the season. I have worn this Christmas glitter topper for every year since it's release. I plan on wearing it this year but time is quickly running out! 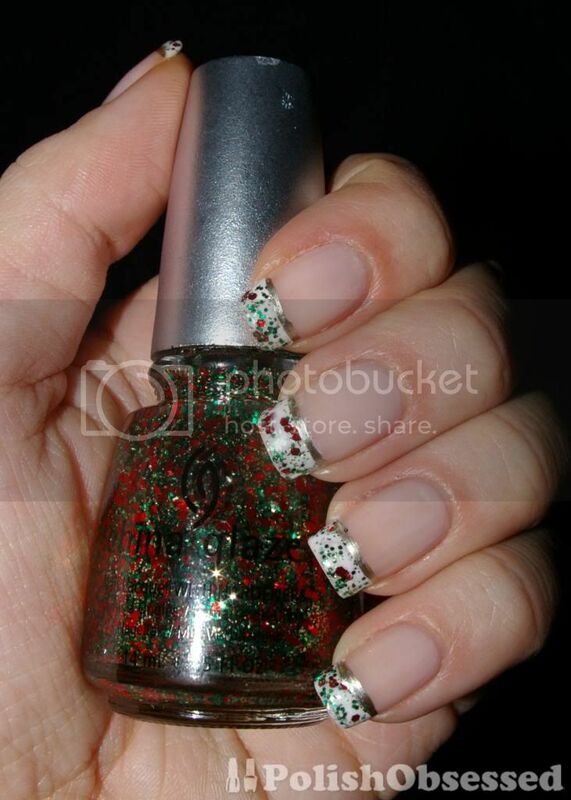 This mix of green, red and gold regular and hex glitter is fantastic and is THE Christmas popish to wear. It may be three times in a row that wear this polish for Christmas. UPDATE: To see the other manis I created with this glitter topcoat including last years Christmas mani, search China Glaze Party Hearty in the right hand search bar at the top of the page. All great picks! So glad you found a bottle of OPI Merry Midnight - love that polish and have I think 4 bottles of it. The semi dupe by Orly for it does not hit my fancy to the level MM does. Party Hearty also does it for me for the quintessential holiday glitter. I also have embraces Leading Lady. It was a surprise to me that it is so classy and classic. I can see myself wearing it to a very up-scale or business oriented event but still can wear it through the rest of winter and not feel I have a holiday red on. Wow four bottles! You must really love it! I agree, the Orly is not identical, but pretty close. I love the first and the third but all the colors are great for the season. Merry Christmas Danielle. Thanks, Merry Christmas to you to!